The radio frequency band spanning 698 - 746 MHz. The band is divided into five blocks. Blocks A, B, and C are designed for two-way cellular phone/data service. Blocks D and E are designed for one-way (broadcast) radio service. AT&T uses blocks B and C for its LTE network, which span a frequency range also known as band 17. 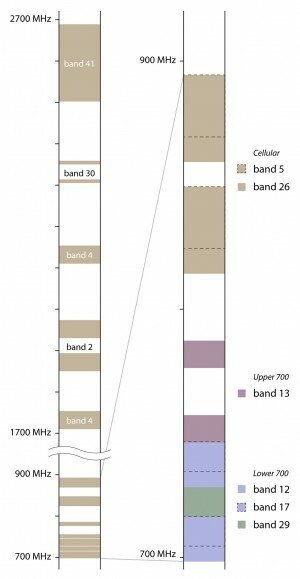 Smaller regional carriers - such as U.S. Cellular - use blocks A, B, and C. That range is also known as band 12. Phones designed for band 12 will work on networks using blocks A, B, and C. Many phones designed for AT&T are designed for band 17, and therefore will not work on regional networks that use block A.